Great app deals are constantly popping up on the App Store, and here are 17 iPhone and iPad apps that are now free. 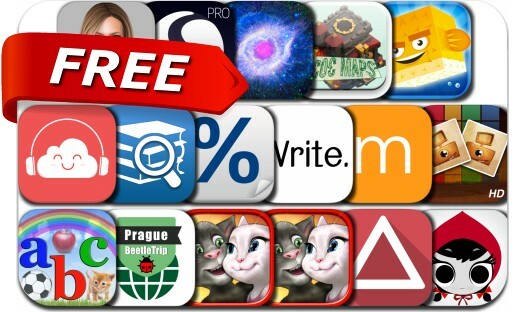 This apps gone free alert includes Fish Heroes, Instamory - play with Instagram photos, SleepStream 2 Pro, Eddy Cloud Music Player Pro, Lil' Red, Percentages Calculator, Smart Virtual Girlfriend, Tom Loves Angela, Luzmo and many others. SleepStream 2 Pro: Sleep. Relax. Escape. Enjoy.